During a raucous rally last night in Texas, President Trump weighed in on Alexandria Ocasio-Cortez’s ridiculous “Green New Deal” – and he did not mince words. 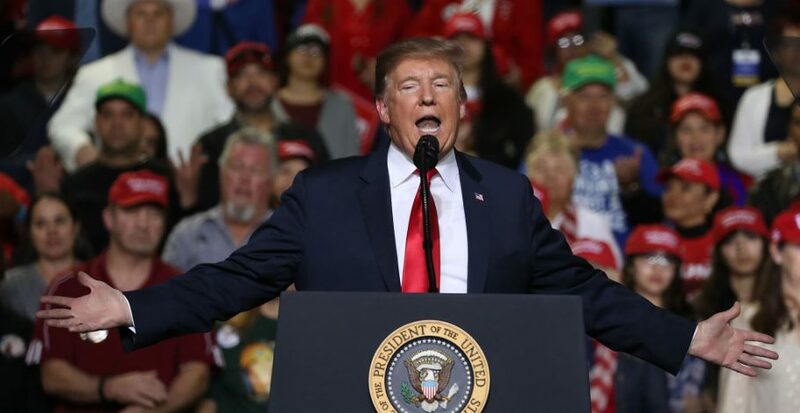 The President also rightfully noted that “it would shut down American energy, which I don’t think the people of Texas are gonna be happy with that.” Watch President Trump blast the “Green New Deal” here. The President was on point with his remarks. The “Green New Deal” would change American life as we know it for the worse, and it is so unrealistic that its proponents refuse to detail how they would pay for any of it. Thankfully, we have a President who is willing to stand up for capitalism and the American energy worker. President Trump is using his bully pulpit to try and help coal workers who could be out of a job in Kentucky if this plant closes. The years of neglecting America’s energy workers are over, but there is still much more work to do.